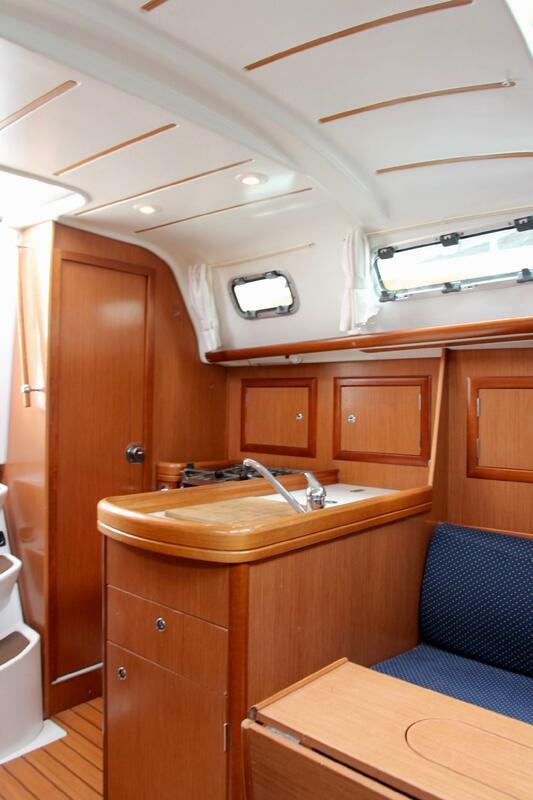 Among Beneteau's smaller sailing yachts, the 323 is similar in design to her larger sisters in the Oceanis range. She is a great light-air performer, has room for a small family, and is easy to single hand. 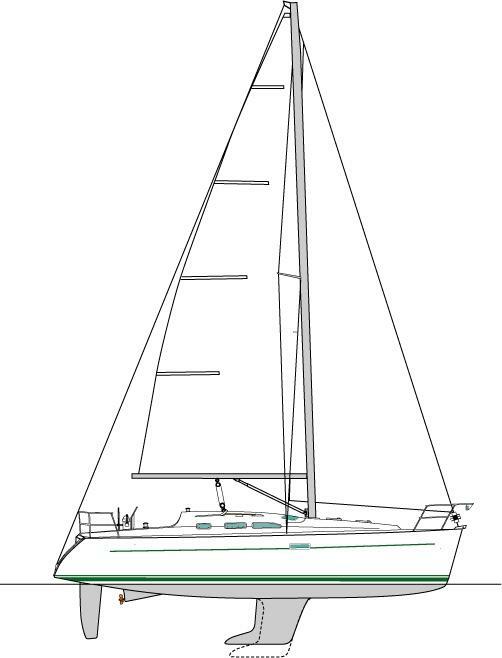 The designers, drawing on tremendous experience, have created an agile sailing yacht with beautiful lines, and with warm, inviting, perfectly usable spaces. The wood finish is in very good condition. 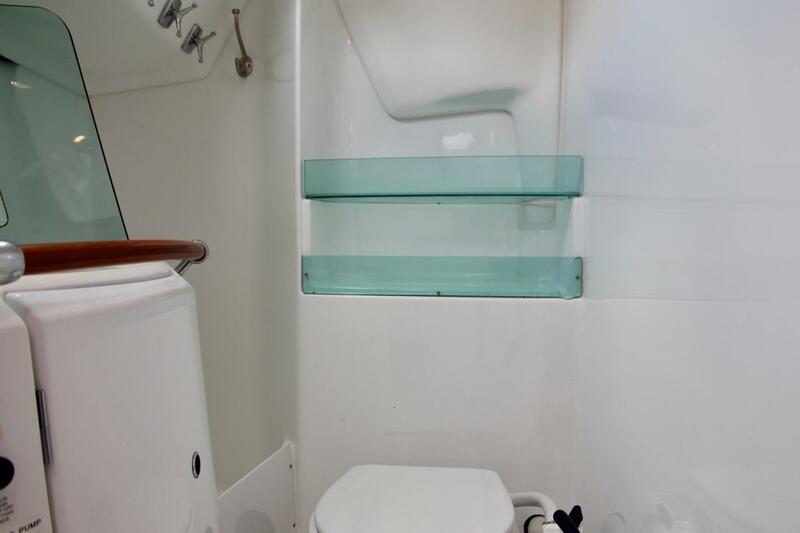 All overhead hatches have screens and shades, and all port lights and hull windows have fabric curtains as well as bug screens. All is kept toasty warm with the Webasto central heat system. Hull construction is of hand-laid solid GRP bonded to a structural grid of directional fiberglass for a strong, stiff, light composite. Vinylester resin is used to resist osmotic blistering and stitchmat laminates for specific increased strength optimization. 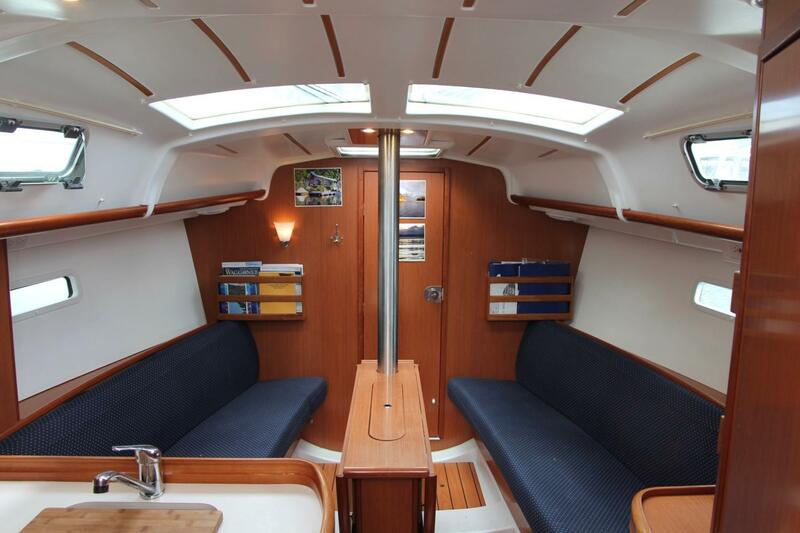 Deck is a sandwich construction for stiffness, thermal and acoustic insulation, and lighter weight. Solid fiberglass reinforcements in high load areas. Integral unidirectional GRP deck beams for added strength. 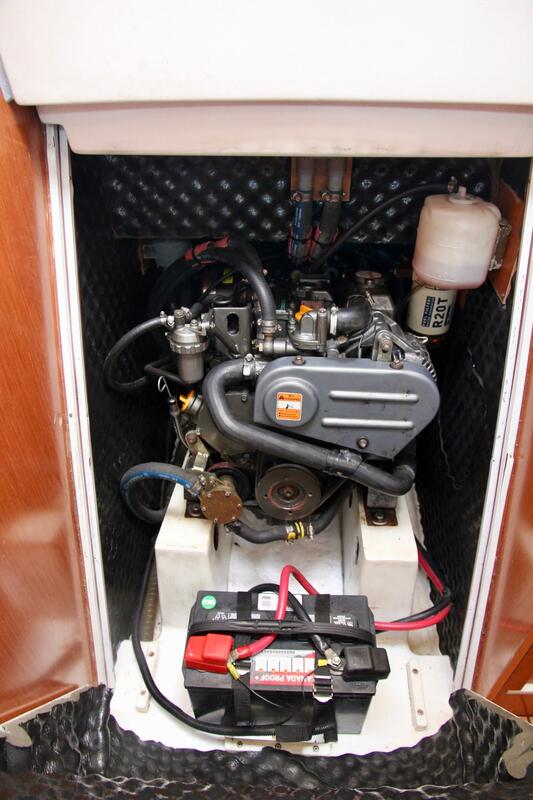 Main bulkheads bonded 360° to the hull and deck for rigid torsional and compressive strength. 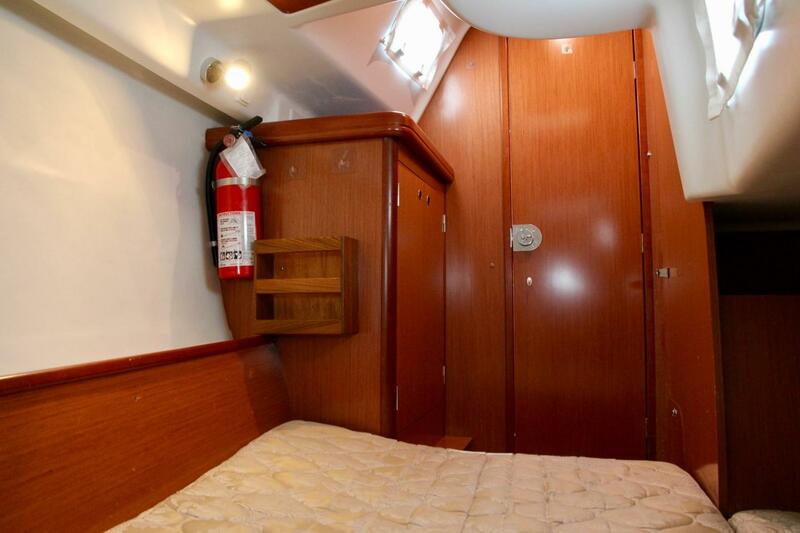 Accommodations are in two private cabins; one aft, one forward. Both are nicely sized, and it would be arguable to make with the master over the other. 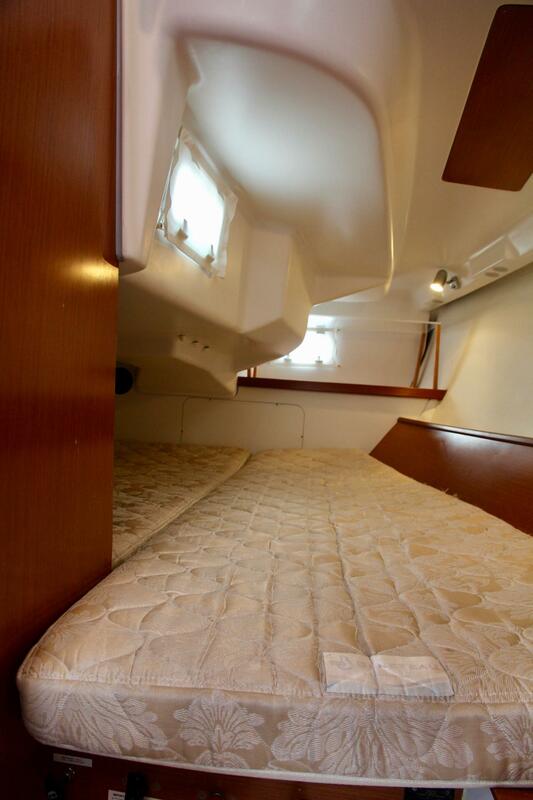 Headroom in the forward cabin is 183 cm (6 ft). 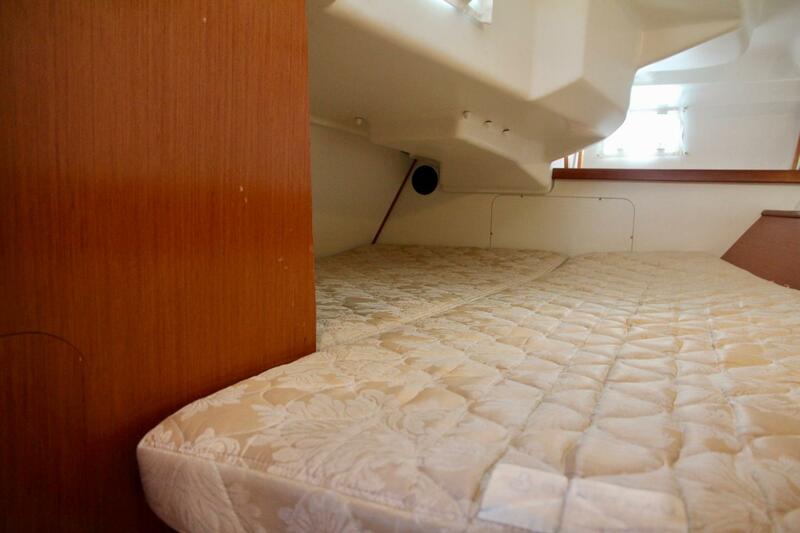 The V-berth is 152 cm wide, (60"), and with the insert in place, is 208 cm long (82"). 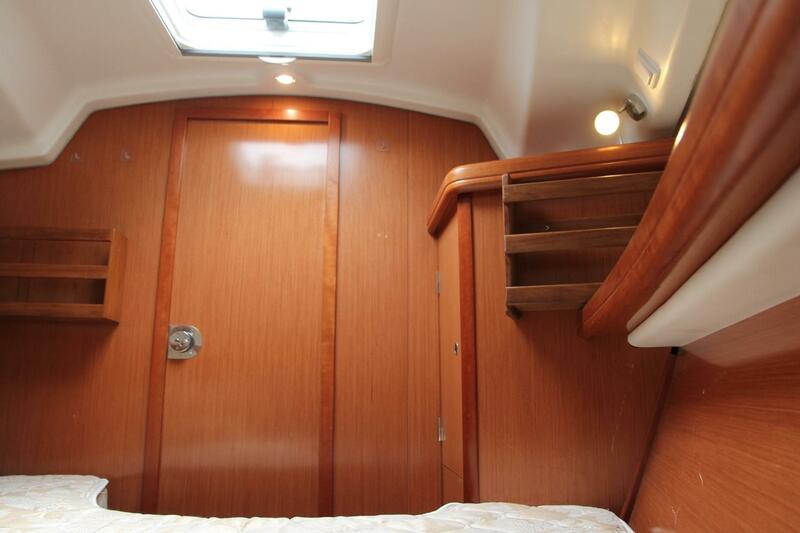 An opening overhead hatch lets in natural light and fresh air, and there is overhead lighting as well as two reading lights. 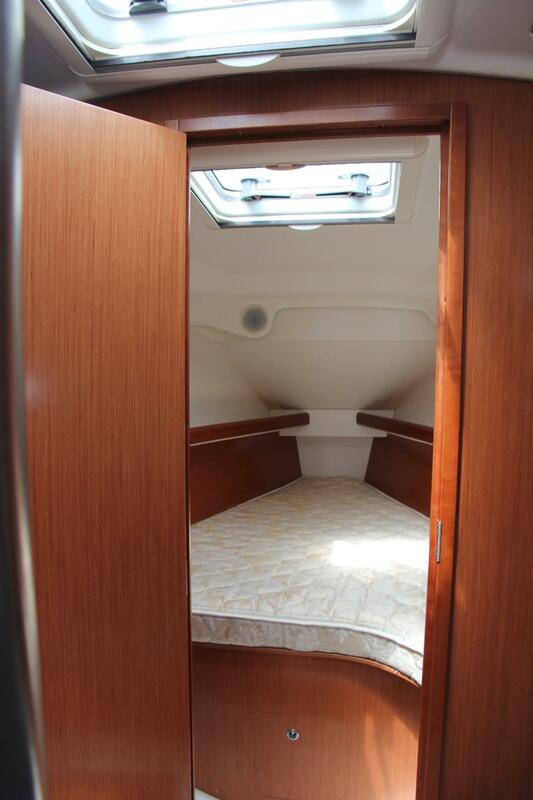 Stowage in a hanging locker, shelves, and under-berth storage. 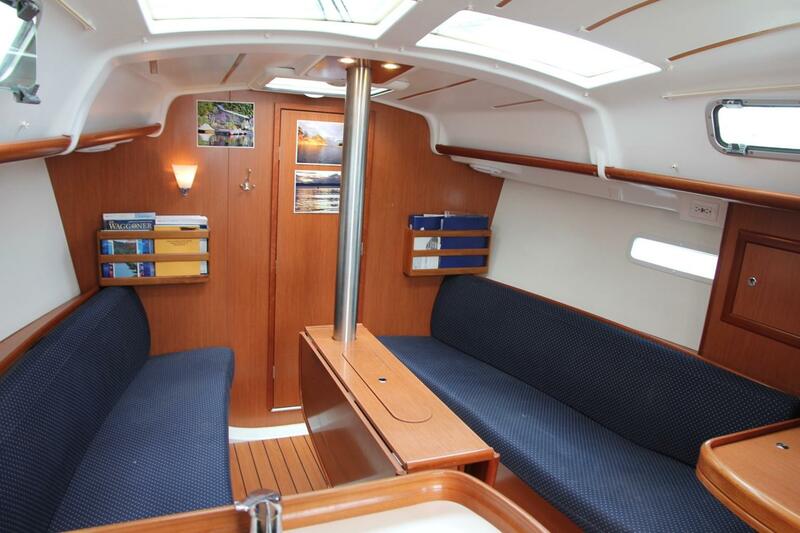 In the aft cabin, to port and aft of the galley, headroom is 183 cm. 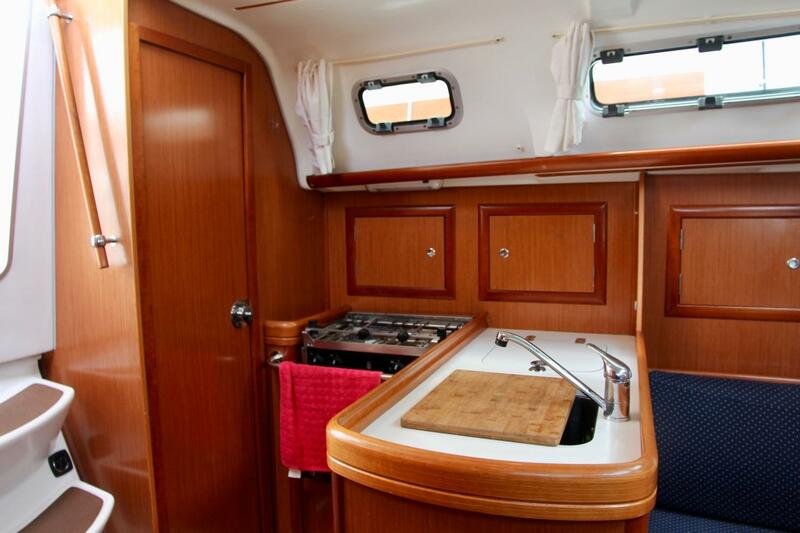 The berth is 185 cm by 177 cm (82" by 60"). Three opening port lights brings in natural light and ventilation. Overhead lighting, two reading lights, storage in a hanging locker. 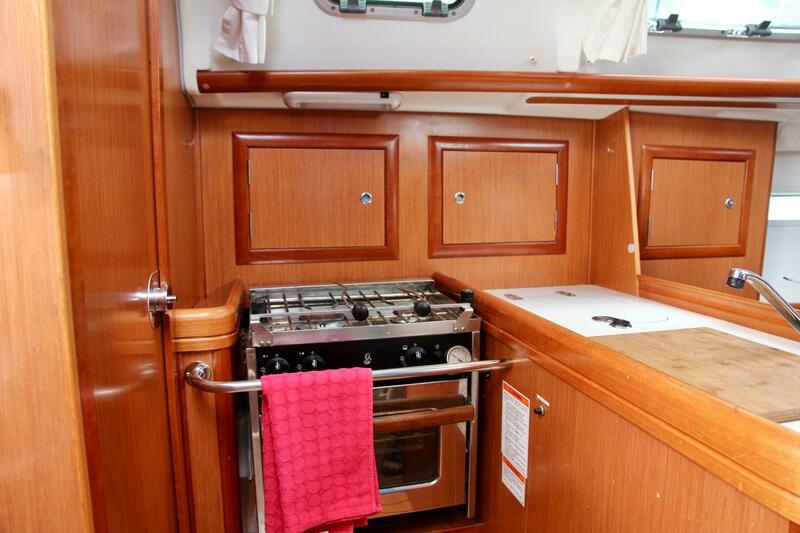 The galley is L-shaped, and is to port as you descend the companionway. There is a good working surface, and thoughtful storage spaces. 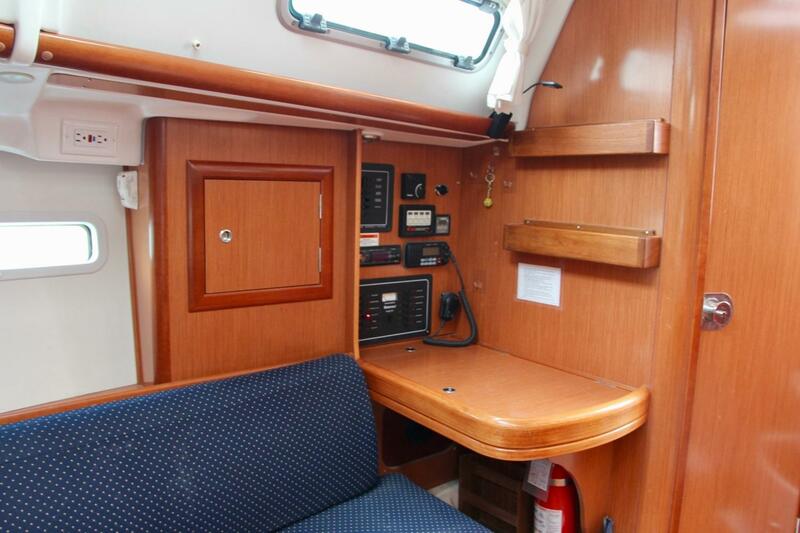 There is a navigation area located to starboard, at the aft end of the salon settee. 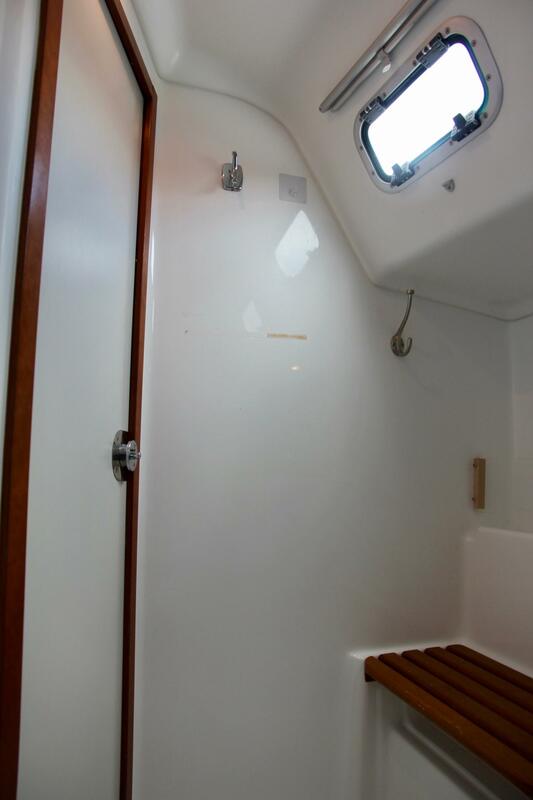 The head and shower is to starboard, handy to base of the companionway, and can be useful as a wet locker when needed. There are gates in the lifelines port, starboard, and aft for boarding. 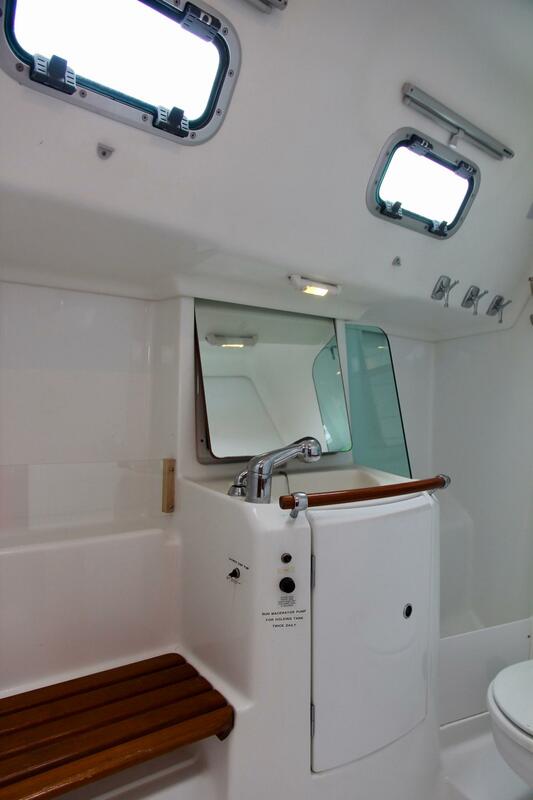 For boarding aft, the helm seat folds out of the way allowing safe and easy passage of people and gear to and from a tender or a dock. 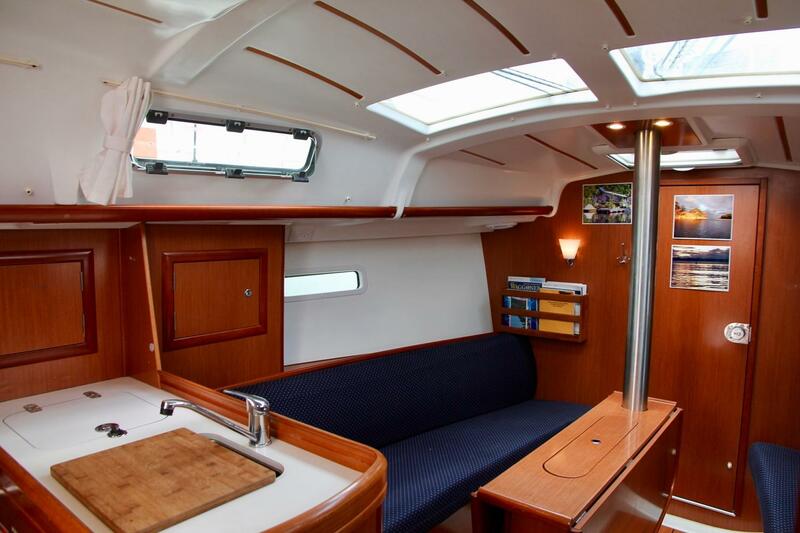 The 323 has a spacious cockpit for 32,' with room for lounging and moving about. 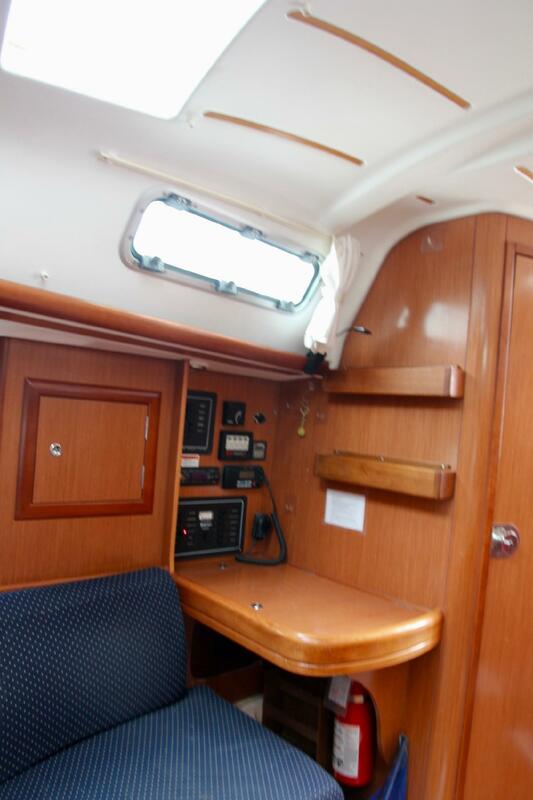 There is an aft-facing nav station to starboard in the salon. Here is the electrical panel, storage lockers and a table with lifting top for storage. 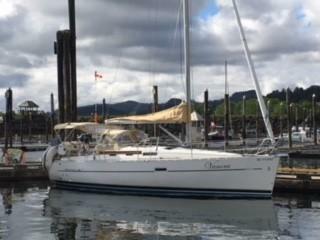 Hi there, I would like more information about the Beneteau 323.